Better late than never, y’all! I’ve been working on these gradually over the last several weeks and it’s finally time to share. I call them my “goals” because inevitably something more urgent will pop up and consume time and resources to addresses. Update the laundry room. This is a carry over from last year, unfortunately. My laundry space is tucked into what used to be a closet (before we bought this house 18 years ago) and is not only tricky from a functionality standpoint, it’s my least favorite part of my home. 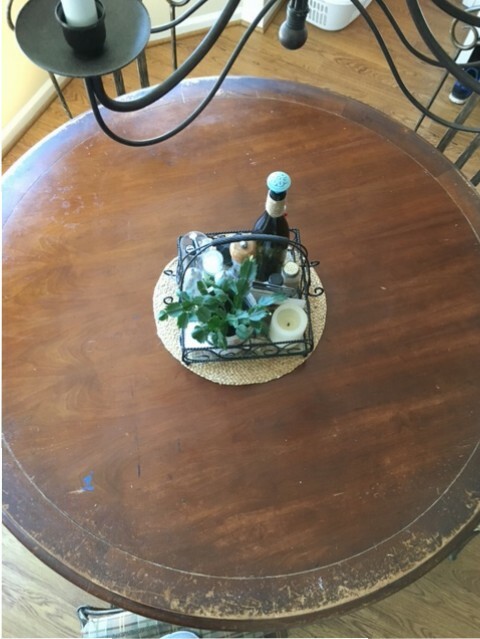 I have few ideas for this space I’ve been collecting on a Pinterest board. 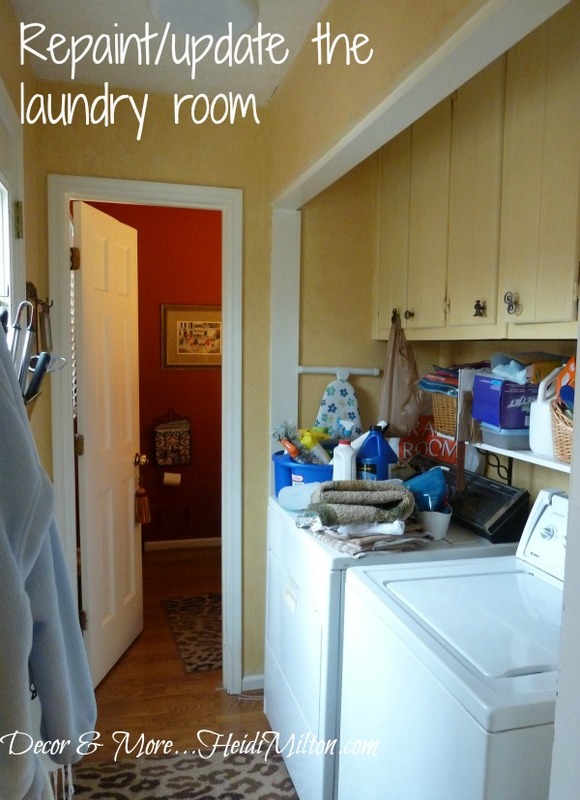 Ideas like opening up that doorway to the ceiling, adding open shelving and maybe an interesting wall treatment. There’s a chance we will be replacing/updating our washer/dryer this year as well, so stay tuned for that! Address the exterior. It’s been several years since my house has been painted and with the last few very wet seasons, it’s in need of attention. We’ll have to see what the budget allows — it may be a simple pressure wash, replace some rotted wood and touch up paint. But if we can swing it, I’d love to replace our shutters and change the paint color. The more episodes of Fixer Upper I watch, the more I’m itching to do this. Cedar shutters anyone?? This is a BIG goal, no?? 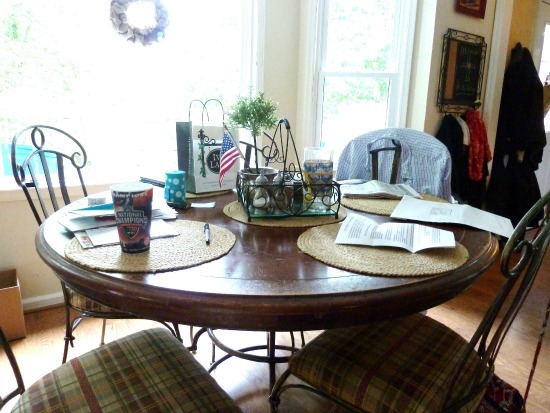 Kitchen table makeover. This is a hold-over as well. For a few years now. I can’t seem to land on whether to strip and restain or to paint?? But every year that goes by the finish breaks down a little more, especially around the edges, and so this is the year to get ‘er done. And along with that will be new fabric on the chair seats. Might as well! Sinkholes. ugh. Another hold-over. We have a couple of small scale ones that have formed in our back yard. Our neighbors have it much worse… apparently the builder of our subdivision liked to bury trash on the construction sites so 30 years later we’re all dealing with this. We think it’s a matter of filling them in, but there’s a chance it could be more extensive. We’ll be praying our way through this one! Reupholster the dining room chairs. This should be a quick and easy project and yet it’s been two years since we got them from my MIL and still they sit with a dated blue fabric. I’ve been on the fence between a simple solid fabric, a classic pattern, or something more graphic and modern. Time to figure it out and check this one off the list! 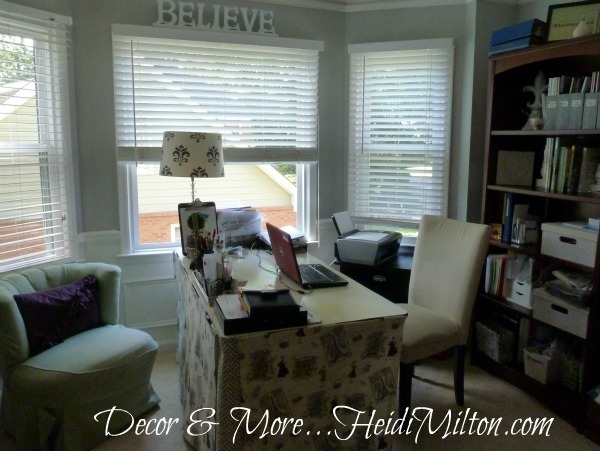 Reorganize and update the Mom Cave. With the advent of Legacy, our home office has gotten out. of. control. And I need it to function efficiently more now than ever. As we’ve been gathering our tax information I’ve been purging here and there, but still have a long way to go. I’ll keep the paint color (still LOVE), but will be rethinking my desk and the storage in there once I’ve cleared some more things out. It hasn’t looked this clean in a looonnnnggg time. Tackle the basement/game room. This one could be a pipe dream this year. My daughter moved back home after graduating from UGA last May, and so her entire apartment is crammed into our basement space on top of the furnishings we already had down there. She’s moving back out this summer to attend graduate school in Augusta, so I’m feeling an opportunity to tackle that space once her “stuff” is gone and I can think straight. I’ve never shared that space on the blog before, so we’ll be forging new territory!! There are a handful of other things I’d like to get done, but in the interest of being realistic, I think I’ll leave it there. 🙂 And actually, typing all of this up has me feeling a tad overwhelmed! The hubs and I have yet to work out a budget for these projects so that will dictate what all we can accomplish, too. But it’s good to have a blue print for what needs to be done so we can try to plan accordingly. 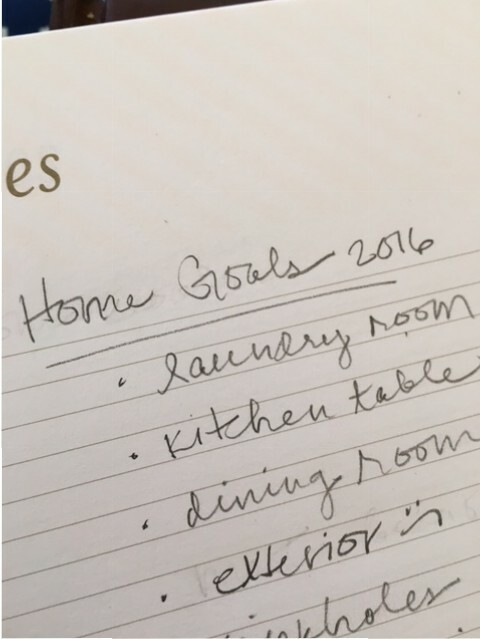 What about you — do you set home goals each year? Or maybe by season? Do tell! Enjoy your Monday everyone. Your list is almost as long as mine! Keep us posted! Heidi, you are back! I just found you accidentally. Yes, we have a list here at our house too. The length of the list depends on what day you ask. Some days I feel very content and don’t worry about anything…other days I want to change it all. That’s life though. I’d love it if you’d join us at Thoughts of Home on Thursday.